Born in Quitman, Texas in 1891, Charles Bowling studied with Olin Travis at the Dallas Art Institute. Bowling developed a highly finished, realistic style that featured rural landscapes and urban scenes. He was an accomplished painter and is considered one of Texas' finest print makers. This biography was written by Kendall Curlee for the Texas State Historical Association Website. The actual article is linked in the artist's More About this Artist Section to the right of the Artists image. 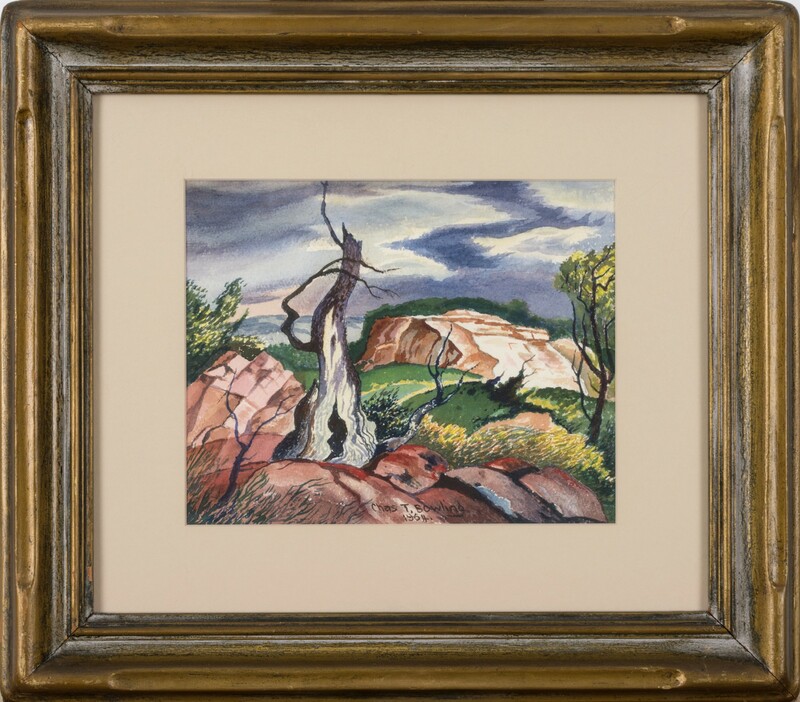 "Charles T. Bowling, painter and lithographer active in the pre-World War II group of Regionalist artists known as the Dallas Nine, was born in June 1891 in Quitman, Texas, the fifth of eight children born to Robert W. and Grace Elizabeth (Long) Bowling. Shortly after Robert Bowling's death in 1900, the family moved to Dallas, where Charles attended public schools and worked part-time. Although he never completed high school, he cultivated his artistic skills through a series of sign-painting and draftsman jobs and began a forty-nine-year career as a draftsman and civil engineer for Texas Power and Light Company in 1916. He and Sadie Britt were married in Dallas around 1915; they had three sons and a daughter. Bowling exhibited his work in Pennsylvania, in New York, and throughout the South and Southwest during the following years. He was a member of the Dallas Art Association, the Dallas Print Society, the Klepper Art Club, the Texas Fine Arts Association, and the Southern States Art League; he served on the board of directors of the TFAA. He continued to produce art until 1959, when his failing vision forced him to stop. He retired from Texas Power and Light in 1965 and died of a heart attack at the C. C. Young nursing home in Dallas on July 27, 1985. He was buried at Restland Memorial Park. 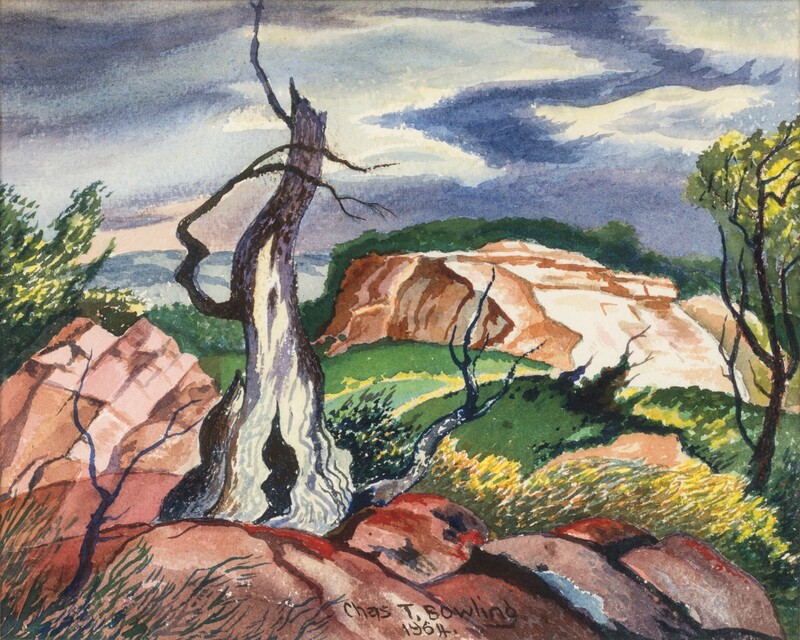 In recognition of his friendship with Jerry Bywatersqv, Bowling's family donated twenty-six of his lithographs to the Jerry Bywaters Collection of Art of the Southwest at Southern Methodist University, which organized an exhibition of his work, The Lithographs of Charles T. Bowling (1891–1985), in 1991. 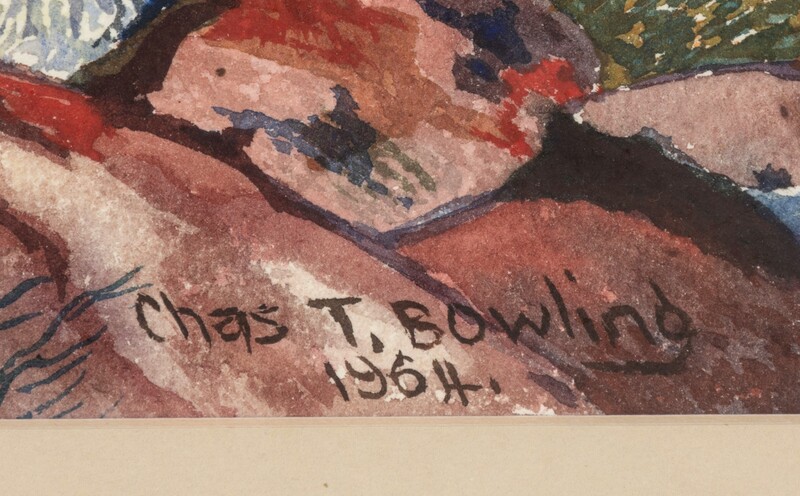 Bowling's works are also included in the collections of the Witte Museum, San Antonio, the Archer M. Huntington Art Galleryqv at the University of Texas at Austin, the Museums of Abilene (renamed The Grace Museum in 1998), and the Dallas Museum of Art." Dallas Morning News, July 29, 1985. Rick Stewart, Lone Star Regionalism (Austin: Texas Monthly Press, 1985). 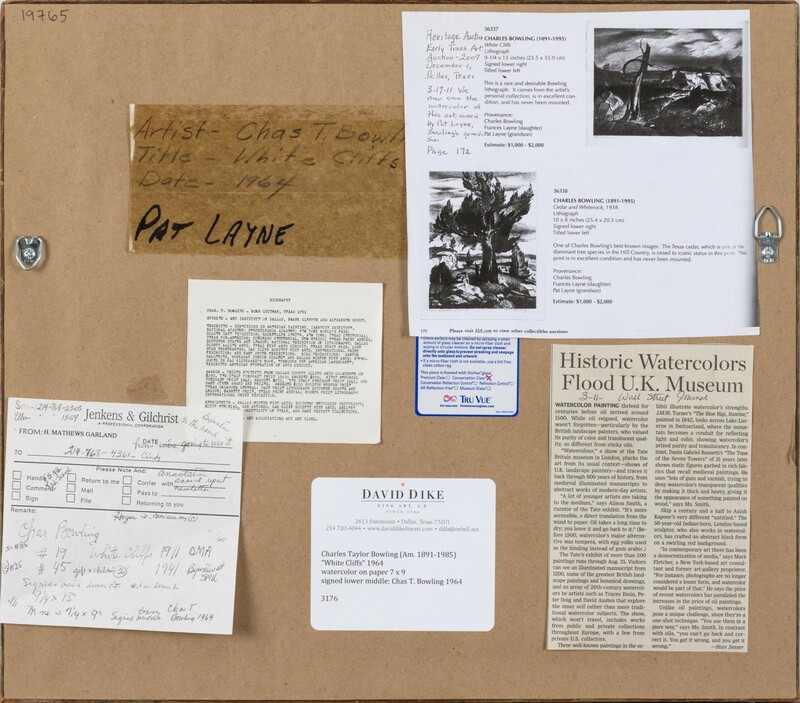 Texas Artists File, Bywaters Collection, DeGolyer Library, Southern Methodist University."